Bjorn is a compulsive, meticulous bureaucrat who discovers a secret room at the government office where he works–a secret room that no one else in his office will acknowledge. When Bjorn is in his room, what his co-workers see is him standing by the wall and staring off into space looking dazed, relaxed, and decidedly creepy. Bjorn’s bizarre behavior eventually leads his co-workers to try and have him fired, but Bjorn will turn the tables on them with help from his secret room. 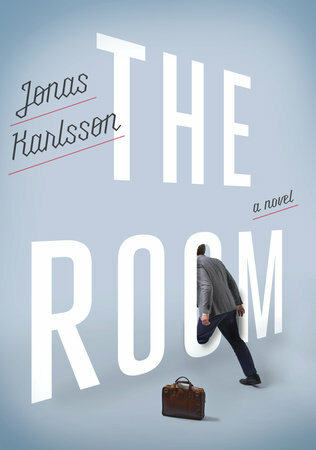 Debut author Jonas Karlsson doesn’t leave a word out of place in this brilliant, bizarre, delightful take on how far we will go–in a world ruled by conformity–to live an individual and examined life. I wasn’t sure what to think of this one, but I was immediately interested when I saw the word kafkaesque. I read some Kafka back in my college days, and I loved his weirdly beautiful yet unsettling writing. I had some pretty high hopes for this one, and happily, I wasn’t disappointed. This book makes you question reality, truth, and existence. It makes you question what you perceive as real, and it makes you look differently at those around you. The book is weird in the best way possible, but more than making you ask big, open-ended questions about existence, it also makes you think about how you treat others. It brings up questions of how we treat those around us with mental illness, as well as how we treat those who act outside of the cultural norm. But most of all, as someone who works in an office littered with cubicles, I definitely appreciated the darkly humorous look at “office culture”. In short, the book was good. Is it a quick read? No. Is it a particularly easy read? Certainly not, but it’s darkly humorous, awkward in the best way possible, and unsettling enough to keep you reading. This most certainly isn’t a beach read, and it isn’t for everyone. However, if you’re looking for a book that makes you equally uncomfortable and curious (in the best way possible), you’ll like The Room. In short? Buy yourself a copy of The Room to check it out for yourself! Have you read The Room? What did you think? Let me know in the comments! Full disclosure: I received this book for free in exchange for my honest review with the Blogging for Books program.